Confirmation of these various statements is sought. 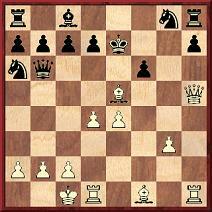 16 Bc4 d5 17 exd5 fxe5 18 Qxe5+ Kd8 19 Qxh8 Qg6 20 Rxh7 Bf5 21 Rg7 Qh6+ 22 Qxh6 Nxh6 23 Rh1 Ke8 24 Rxh6 K0f8 25 Rh8+ Kxg7 26 Rxa8 and wins. 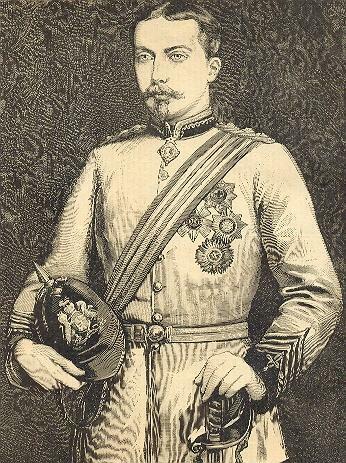 The Prince (also known from 1881 onwards as the Duke of Albany) was a prominent chess patron during his short life (1853-84), and the London, 1883 tournament was held under his patronage. Page x of the tournament book, which was dedicated to him, recorded that ‘H.R.H. The Duke of Albany graciously consented to become the Patron of the undertaking’. The quote also appeared in a feature on the Duke on pages 140-141 of Chess Fruits by T.B. and F.F. Rowland (Dublin, 1884), which included an acrostic poem dedicated to Duke. The full text was also given on pages 172-173 of The Chess Reader by J. Salzmann (New York, 1949). 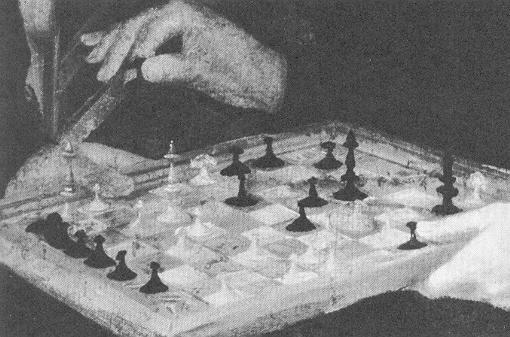 ‘John Ruskin and Chess’ in the BCM, April 1923, pages 115-118. 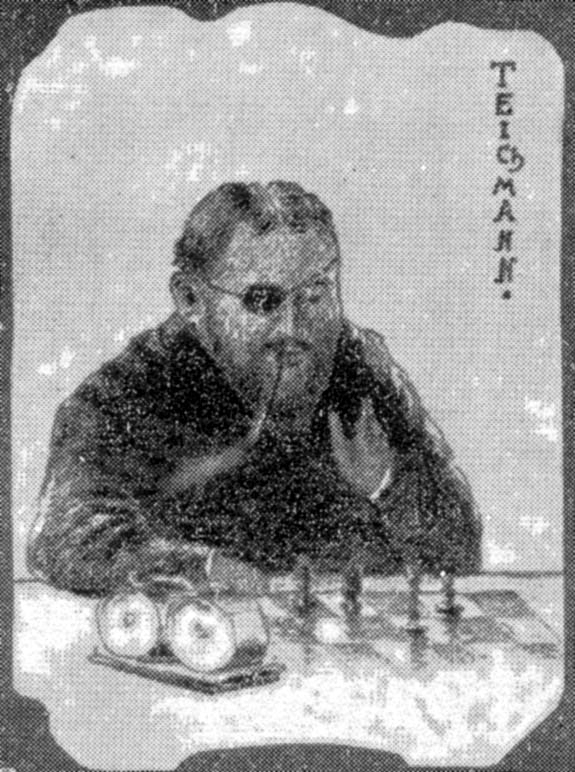 An article by ‘F.W.L.’, who had access to Ruskin’s copy of the Falkbeer translation of Max Lange’s Paul Morphy, a Sketch from the Chess World, which had extensive marginalia by him. ‘That Ruskin’s role as chess critic, though “clouded by enthusiasm” is exempt from even a modest knowledge of the game is made clear at the outset by his notes upon the openings. 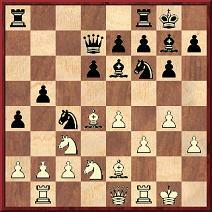 Both the Centre Counter Gambit and the Falkbeer he regards as “unusual”, which epithet he gives to White’s 3 Bb5 (Ruy López). The “Cunningham” is “most busy and curious”. 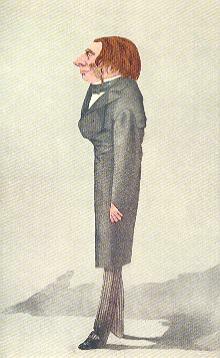 As to the “Evans’” (although so entitled throughout the book) he says, “This I shall call the Bishop’s Gambit, the knight’s pawn being the bishop’s prey”. There followed two pages of examples of Ruskin’s comments on a number of Morphy games and positions. Another group photograph for readers to ponder. A caption will be provided later on. 34 c3 Qf7 35 Qd3 exd4 36 Qxd1 Qxf6 37 cxd4 Qxh4 38 Qd3 Qg4+ 39 Kh2 Qf5 40 Qe3 Kf7 41 Qc3 Qf4+ 42 Kg2 Qe4+ 43 Kf2 h5 44 Qc7+ Qe7 45 Qc6 Qh4+ 46 Ke3 Qe1+ 47 Kf4 Qf2+ 48 Kg5 Qe3+ 49 Kh4 Qxd4+ 50 Kg3 Qe5+ 51 Kf3 Kf6 52 Qa8 Kg5 53 b4 h4 54 Kg2 Qe2+ 55 Kh3 Qf1+ 56 Kh2 Qf4+ 57 Kg2 Kg4 58 Qc8+ Qf5 59 Qc6 h3+ 60 Kg1 h2+ 61 White resigns. Source: Max Eisinger 1909-1989 by Harald Klingenberg (Karlsruhe, 2005) – game seven in the Appendix. C.N. 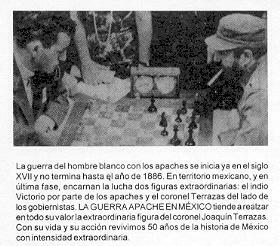 1180 gave a game lost by Filiberto Terrazas against Fidel Castro in Havana, 1966, from page 323 of the November 1966 Jaque Mate: 1 e4 e5 2 f4 exf4 3 Nf3 Bd6 4 d4 h6 5 e5 Bb4+ 6 c3 Ba5 7 Bxf4 g5 8 Bg3 Qe7 9 Be2 d6 10 exd6 cxd6 11 Qa4+ Nc6 12 d5 Bd8 13 dxc6 b5 14 Qxb5 a6 15 Qa4 g4 16 c7+ Bd7 17 c8(Q) Rxc8 18 Qd4 gxf3 19 Qxh8 Qxe2 mate. 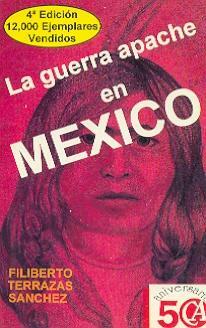 The above photograph, taken during play, was on the back-cover of Terrazas’ book La guerra apache en México, which was first published in 1972. 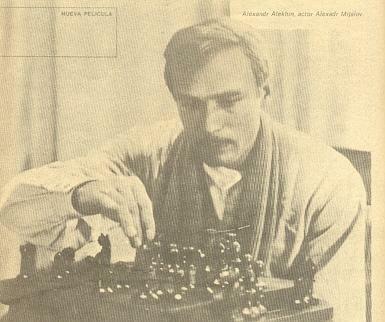 The entry for Burille in Jeremy Gaige’s Chess Personalia recorded that he was born in Boston on 30 August 1866, whereas page 209 of Chess: Man vs Machine by B. Ewart (London, 1980), which had the following photograph from the Cleveland Public Library, described Burille as ‘a Bostonian born in Paris’. 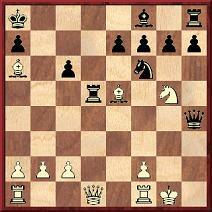 Franklin K. Young gave a number of games by Burille in his book The Grand Tactics of Chess (Boston, 1905). 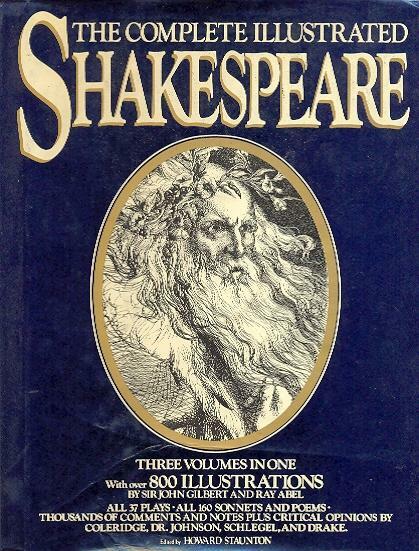 We present a digest of items from old chess literature about connections between chess and William Shakespeare. 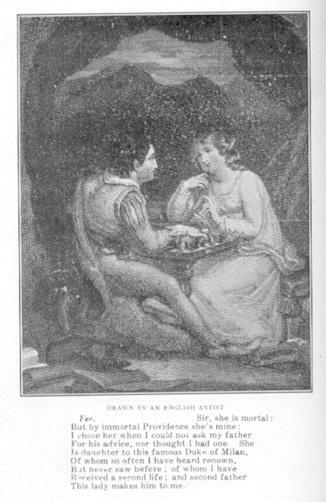 A poem on Shakespeare and chess by W.M. 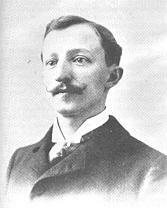 Ogden was published on page 28 of the February 1901 American Chess World. In 1907 Mrs W.J. 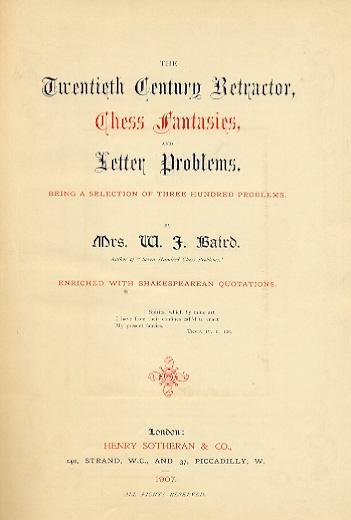 Baird brought out one of the most beautifully produced chess books ever seen, The Twentieth Century Retractor, Chess Fantasies, and Letter Problems, ‘enriched with Shakespearean quotations’. ‘... The artistic conscience sometimes makes him who has it a coward – or, let us say, a Hamlet of the chess board. I wonder if Hamlet was a chessplayer. From his character it seems indeed likely. If he was, he probably played a weak but imaginative game, with a craving to improve upon the best move and therefore often missing it. Lasker’s remarks were quoted on page 152 of the July 1908 American Chess Bulletin (courtesy of The Australasian) and on page 108 of the May 1911 American Chess Bulletin. Pages 302-304 of the Chess Amateur, July 1913 gave the correspondence game J.A. Shannon v G.W. Moses with annotations comprising quotes from Shakespeare. The picture is 30¾ inches in height and 38 inches wide and is painted on chalked linen, which was stretched over a frame. It is full of slits and cracks but is still fresh and beautiful in color. It represents Shakespeare playing a game of chess with his friend Ben Jonson, who was also a dramatist. Investigation by the learned Dr Paul Wislicenus of Darmstadt, a member of the German Shakespeare Society, has resulted in ascribing the de Heyman painting to the brush of Karel van Mander as being one of his best works. The bishop in the hand of the player takes the white queen mate. Shakespeare holds a black bishop in his right hand which he has taken from Black’s KKt5 square [sic]. 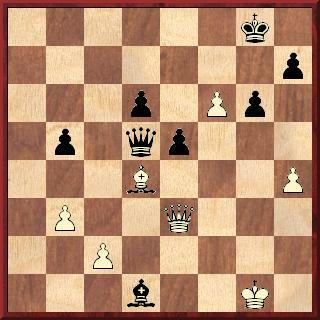 Bishop takes queen mate. The mediaeval shapes of the white bishop at QB3, the black bishop and the white rook at Q7 are of interest. The above item had also been quoted on page 12 of the October 1915 Chess Amateur. Page 44 of the November 1915 issue gave information about the painting and the diagram, courtesy of the Good Companion Problem Club Bulletin. 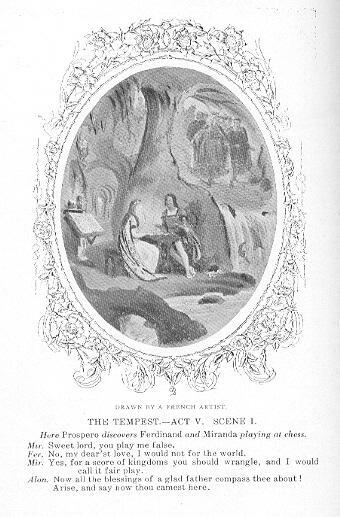 ‘I have seen a small reproduction of the alleged Shakespeare-Jonson picture, and am interested. It looks old and good. I think the artist meant to represent Shakespeare and Jonson. If so the question is, was the picture printed in Shakespeare’s time? Up to date I doubt it. If the picture were accepted by all authorities as being what it claims to be it would be very strong evidence – taken with other things – that Shakespeare and Jonson could play chess, and sometimes did. 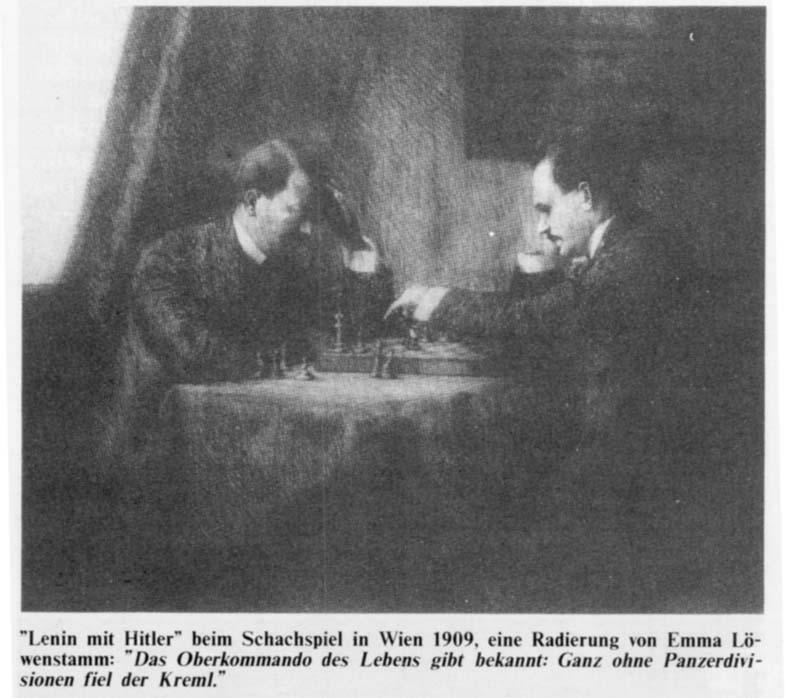 The Chess Amateur returned to the subject in its March 1916 issue (pages 170-172), reproducing the painting, quoting from the Good Companion Folder and including further comments by H.M. Holgate. ‘Only one who knew the move and power of the chess queen would have written this line. ‘The inscription on the portrait proves to the entire satisfaction of Dr Wislicenus that the chess game refers to the famous “Stage Quarrel” and, consequently, to Troilus and Cressida. The account of how the picture came into the possession of the de Heyman family was related the other day to a representative of the New York Times by the son, Frank de Heyman. His father, Frank de Heyman, a real estate operator and lover of art, bought the picture in 1903 or 1904 from an art dealer in New York City while the family was spending the summer in the Catskills. Its previous owner was Colonel Miller, who paid $18,000 for it in 1878 and who died at Mahwah, NJ in 1885. In a fire at the Miller home the documents accompanying the picture were destroyed. The article then quoted much detail from Dr Wislicenus’s report. 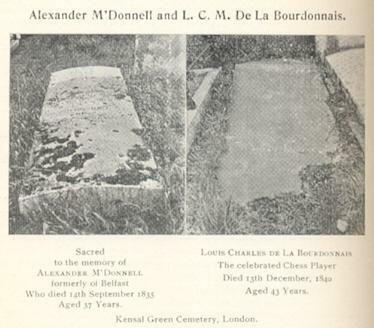 The BCM, July 1916(pages 221-225) and January 1918 (pages 4-6) presented two games won by C.F. Davie (Victoria, BC) against J. York annotated with quotations from Shakespeare. ‘Altogether we consider there is sufficient evidence to show that W.S. must have known “the moves”. But whether he ever became a real chessplayer is uncertain. The famous game Blake v Hooke was given with Shakespearean annotations by A.H. Spencer-Palmer on page 235 of the May 1926 Chess Amateur. 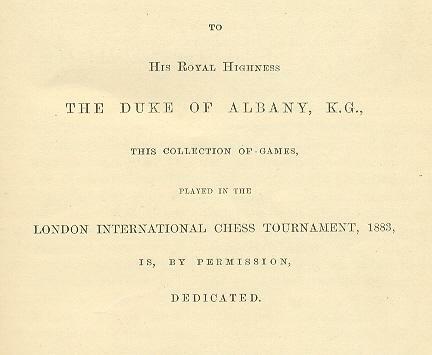 Among the books which have included games with Shakespearean annotations are Chess & Draughts by A. Belasco (various editions), which featured a correspondence game between J.W. Shaw and T.W. Robbins, and various parts of Chesslets by J. Schumer (London, 1928). 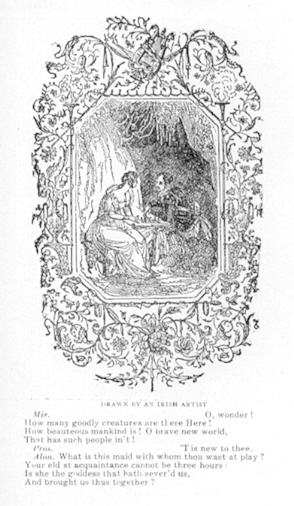 In 1976 the alleged Shakespeare v Jonson painting was featured on a Nicaraguan postage stamp; see pages 57 and 92-93 of Persönlichkeiten und das Schachspiel by B. Rüegsegger (Huttwil, 2000). Any further information on this entire subject will be welcomed. That Spens wrote those oft-quoted words is well known, but what was the exact context of their original publication? Further information on this bizarre matter will be welcomed. In the meantime readers are, of course, advised to view it with extreme circumspection. 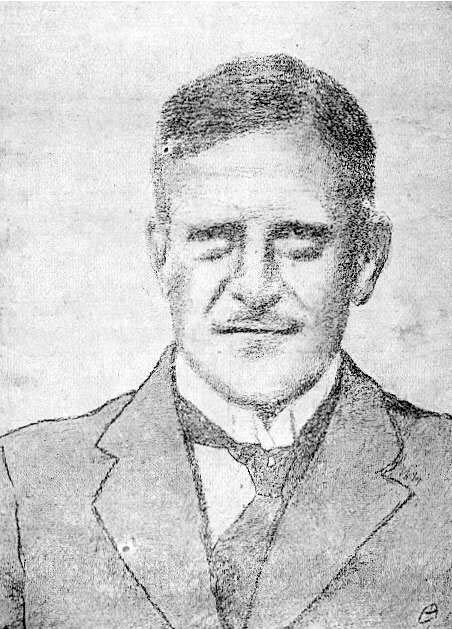 ‘Efim Dmitrievich was invited to Holland in the spring [of 1928] for a match with Euwe. The idea was to determine the new FIDE world champion. Myths have grown up about the ‘FIDE champion’ affair, and in particular there are no grounds for describing Bogoljubow as ‘FIDE world champion’, a term which the Federation did not use. An overview of what happened was provided in C.N. 1967 (see pages 209-210 of Kings, Commoners and Knaves), and now we examine the matter in greater detail. In a separate section on the same page Ormond mentioned other plans by FIDE, e.g. to hold in 1928 ‘un tournoi individuel pour le championnat amateur de la FIDE (tenant: Mattison) ouvert à un seul représentant par fédération’. The earlier such event had been held in 1924, and was called the ‘tournoi international d’amateurs à l’occasion de la VIIIe Olympiade’ in the report on pages 169-171 of the July 1924 La Stratégie. 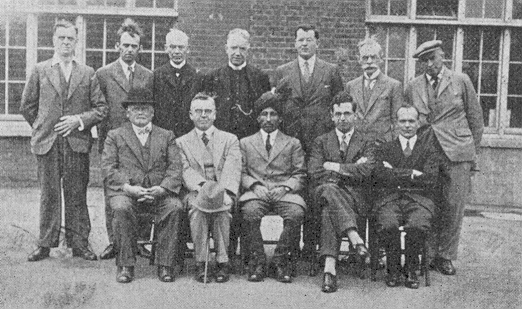 The second tournament took place in The Hague in July and August 1928, being described on page 328 of the September 1928 BCM as ‘the second Olympic Chess Tournament’. It was won by Euwe, who thereby became ‘Olympic individual champion’, in succession to Mattison. ‘L’A.G. [Assemblée Générale] vu les décisions des Congrès de Budapest et de Londres, approuve l’attitude du Comité Central qui a adopté le premier match Bogoljubow-Euwe comme le premier match pour le titre de Champion de la FIDE. Le félicitant de [sa] victoire, elle reconnaît le Maître E. Bogoljubow comme le premier Champion de la FIDE. Mr Wahltuch propose de dresser la liste réglementaire des quatre candidats pour le championnat de la FIDE (art. 5 Règlement des Epreuves). In short, the General Assembly approved the Central Committee’s decision to adopt the Bogoljubow v Euwe contest as the first match for the title of FIDE champion. The British delegate, Victor Wahltuch, proposed that the required list of four candidates for that title should be drawn up, but the General Assembly decided to defer the matter. Nothing was said about Bogoljubow possibly becoming the world championship challenger by dint of his victory over Euwe. ‘Entre l’institution du championnat du monde et de celui de la FIDE il y a de la connexité. Dès les commencements en 1925 l’Assemblée Générale a été d’opinion que derrière l’épreuve suprême pour le championnat du monde il pouvait y avoir dans l’enceinte de la FIDE un championnat général, de structure plus simple, mais régulier et de valeur durable. Le paragraphe trois du Règlement des Epreuves contient la définition complète de cette institution. Pour éviter que le Championnat de la FIDE restât lettre morte j’ai demandé et obtenu à l’Assemblée Générale de Budapest l’autorisation pour le Comité Central d’arranger le premier match pour ce championnat, ou bien, s’il se présentait un match dû à une autre initiative, d’accepter cette épreuve comme épreuve de la FIDE, si elle répondait à certaines exigences. Mes efforts en 1926 pour arranger un match entre MM. Alekhine et Bogoljubow ont rencontré des obstacles insurmontables; mais au mois d’avril de cette année s’est présentée une excellente occasion dans le match Bogoljubow-Euwe. Avec le consentement explicite de Messieurs Rees et Nicolet j’ai fait savoir aux deux concurrents, avant le commencement de la lutte, qu’avec leur consentement elle serait comptée comme une épreuve pour le championnat de la FIDE. Mon choix était fondé sur la haute considération dont jouissent les deux adversaires, et le niveau des parties jouées m’a semblé le justifier tout à fait. J’ai pu avec une sympathie particulière souhaiter la bienvenue comme premier Champion de la FIDE à Monsieur Eugène [sic] Bogoljubow, qui est sorti de la lutte avec une petite avance. C’est maintenant à l’Assemblée Générale de donner son approbation aux démarches du Comité Central et de procéder selon le règlement à la liste de quatre candidats officiels au titre. To summarize this report by Rueb: Already in 1925 the General Assembly considered that in addition to the world championship there could be, within FIDE, a general championship. In 1926 Rueb was authorized by the General Assembly to arrange the first match for the FIDE championship, or to accord that status to any suitable match organized by another party. That same year he encountered insurmountable obstacles in trying to set up a match between Alekhine and Bogoljubow, but in April 1928 an excellent opportunity arose with the Bogoljubow v Euwe match. With the agreement of two senior FIDE officials, L.P. Rees and M. Nicolet, Rueb approached Bogoljubow and Euwe in advance of their match to propose that it be played for the FIDE championship. Rueb invited the General Assembly to approve his course of action and to draw up a list of four candidates for the FIDE title. Finally, he observed that in the press, though among officials too, astonishment and incomprehension had been expressed at FIDE’s action over the Bogoljubow v Euwe match and the ‘FIDE champion’ title. As the person in charge of administering the FIDE office he assumed responsibility for what had been done. Alekhine, the reigning world champion, attended part of the 1928 Congress and, as recorded in the minutes, agreed to place future matches for the world title under the auspices of FIDE, although any match with Capablanca should be under the same conditions as in Buenos Aires, 1927. The General Assembly approved this position and decided to form a commission under Rueb to modify the London Rules. 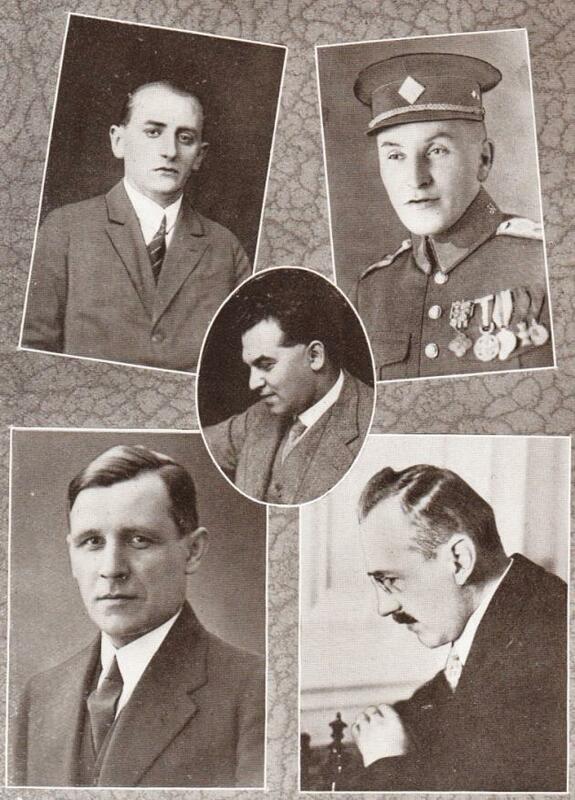 The following, in addition to Alekhine, would be asked to make up the commission: Pierre Vincent, Walter Robinow, Jan Bedrníček, Ossip Bernstein and Sir George Thomas. The minutes of subsequent FIDE Congresses recorded that the commission never met. In any case, by the time of the 1929 Congress in Venice, which Alekhine also attended, a world championship match was underway (neither under the auspices of FIDE nor in accordance with the London Rules) between Alekhine and Bogoljubow. No more was heard of the idea of a FIDE champion at that time. Rueb was under great strain in 1928. 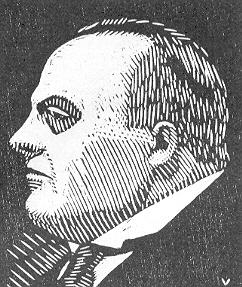 The detailed report on the Congress by Erwin Voellmy on pages 137-143 of the September 1928 Schweizerische Schachzeitung referred to Rueb’s absence through serious illness, as well as his strong desire to resign as President. It is notable that Voellmy made no mention at all of the ‘FIDE championship’ matter. To return to Kasparov’s comments in New in Chess, is it fair to assert that ‘FIDE failed to interest the champions’, given that Capablanca, Alekhine and Euwe were, at various times, all closely involved in efforts to bring the world championship title under the aegis of FIDE? As has been mentioned above, Alekhine attended the FIDE Congresses in both 1928 and 1929, but where exactly is he to be found ‘publicly scoffing at Bogoljubow’s FIDE title’? On the other hand, Kasparov’s comment about the insignificance of the ‘FIDE champion’ title can hardly be disputed. Rueb and other FIDE officials really should have anticipated that it would prompt ‘astonishment and incomprehension’. Who was the first player to be recognized by FIDE as world champion, and in which year? 4058. When was Teichmann born? 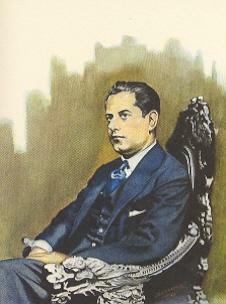 Another feature article has been posted, on Capablanca v Bogoljubow, Moscow, 1925. 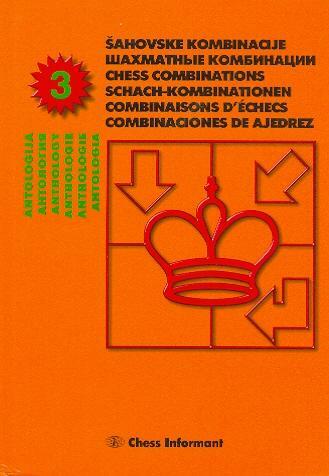 In common with its two predecessors (published in 1980 and 1995) Anthology of Chess Combinations (Belgrade, 2005) makes little effort to attach accurate names, dates or places to the combinations on display. After everything written in readily available sources, how can the Chess Informant team believe that Glucksberg v Najdorf was played in the 1935 Warsaw Olympiad? Or that there was a game ‘F. Parr – Waitkroft’ in 1968? Or that Morphy had an opponent named ‘Morian’? 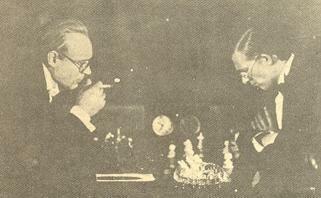 Or that Botvinnik’s brilliancy against Capablanca at AVRO, 1938 was played in Amsterdam? Such a list of elementary matters could be prolonged almost endlessly, but to what effect? We would, though, draw attention to the Chess Informant’s sense of balance; in the 2,709 combinations Emanuel Lasker is featured just once (a loss) and Capablanca only twice (two losses). 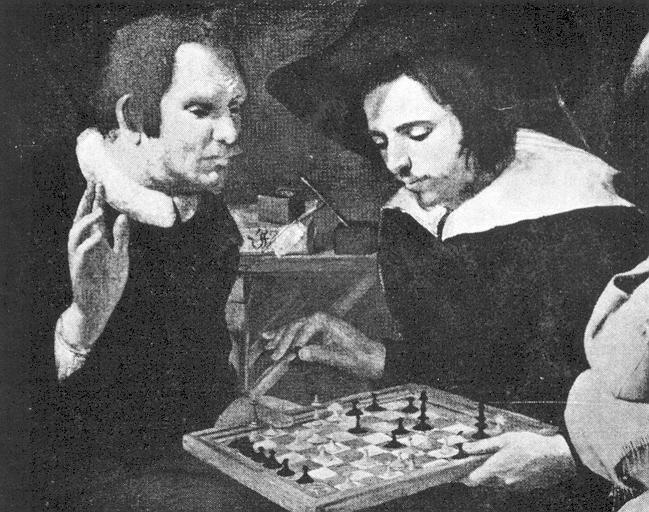 A commentary on the writing career of John Nunn will be presented here shortly, following the recent publication of his book Grandmaster Chess Move by Move (London, 2005), but first we pick up his reference on page 178 to ‘the fate of players such as von Bardeleben, who are remembered today only for games they lost’. ‘But the famous Belgian magazine L’Echiquier (1933, page 353) gives the first move as 1 P-Q4 – and their correspondent E. Colle was on the spot. 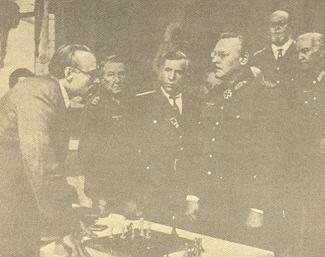 CHESS was unwise to place its trust in ‘this last circumstance’, given that Colle had died over a year before Combe v Hasenfuss was played. I can vouch for this being the correct score. 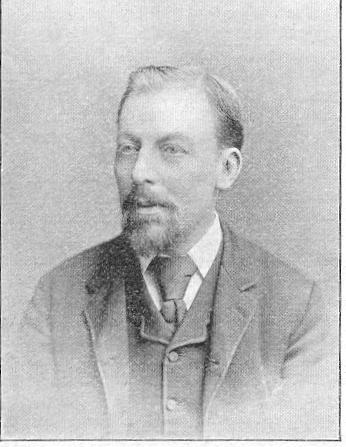 “Although I did not happen to be present in the Leas Cliff Hall when this Scottish disaster took place, I was shown the game by Combe himself later in the day. As he cheerfully played over the moves on his pocket set he explained that he could, of course, have continued the game – some people thought he should have done so – but defeat would have been inevitable against a player of the calibre of Hasenfuss. 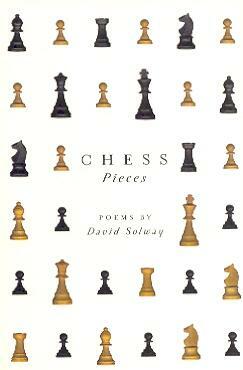 ‘I have a book of poetry entitled Chess Pieces by David Solway, published in 1999 by McGill-Queen’s University Press. It consists entirely of poems somehow referring to chess. I confess most of it seems pretty poor stuff to me, but it has a laudatory blurb by the considerable American poet Richard Wilbur, to whom one must, I suppose, defer. Solway is rather well-known in Canada, perhaps more as an acerbic literary critic than for his poetry. What interests me is that the book is dedicated in part to “Robert Hübner, magister ludi”, and there is a poem (on pages 49-50) entitled “My Game with Robert Hübner”. In it the author refers (curiously, since he is seven years older than Hübner) to “Old Hübner” as having “judging me a dunce / kindly offered to play me once”, evidently a casual game. He then claims to have outplayed Hübner, who, in a lost position, offered a draw “to which from kindness I agreed / since even masters, pricked, will bleed”. I detect no irony. The author seems really to be claiming to have outplayed Hübner. My problem is that the language Mr Solway uses in referring to chess elsewhere in the book sounds odd coming from a player strong enough to hold Hübner to a draw even in a casual game. 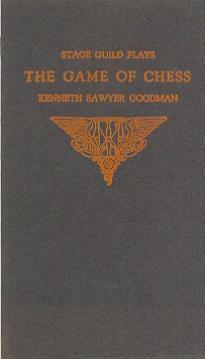 For example, in “My Own Chess”, on pages 45-46, he says that “a poor start is my prerequisite”, and gives odd examples, including the “embarrassment of double-check / before I’ve slid a single bishop out” – after which he claims that he then usually begins to play well and in the “accustomed strife / my once-benighted game comes back to life”. 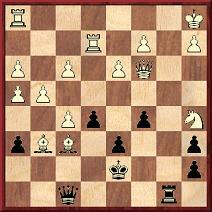 It sounds rather like he lost his queen as Black on the sixth move of the old trap in the Petroff. I cannot think of any normal opening line in which one could have a salvageable game after being on the receiving end of a double-check before one’s bishop is out. 2. Is Solway’s account of the game with Hübner fact or fiction? 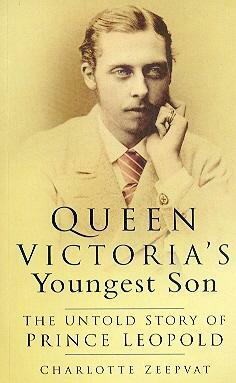 I have been unable to find a review of the book by anybody not a self-confessed patzer. In Books in Canada there was a long review by one Carmine Starnino, but the first paragraph contains the painful solecism “a game rooted in the combative grit of moments like ‘White plays Queen to Rook’ doesn’t sound like an especially accessible resource for song”, which to me rather devalues the highly laudatory analysis that follows. E’en pierced a kingdom’s loyal heart. Each mourn for England’s flower. For now no voice can soothe but thine. Years hence thy name we’ll cherish still. Lost to our sight for aye. Peace o’er thy spirit lies. Yet still for thee fond tears are shed. Magazines of the time referred to Capablanca’s intended participation in Hamburg, 1910 and to his withdrawal through illness. But what critical comments were made, and which masters accused him of being ‘scared away’? Many books state that Capablanca studied a thousand rook and pawn endings. The meaning of this in concrete terms is unclear, but what is the source of the story? “The mediaeval shapes”: the shapes are not medieval at all, even granting the wide variety of medieval chess pieces. “The same designed bishops are given in the diagrams of the Alfonso Spanish 1283 Manuscript”: the bishops are not at all similar. In the Alfonso MS they resemble an old coffee pot. A modern font modelled on their design may be seen at Sonja Musser Golladay’s website. “The double-headed rook appears in Caxton’s London 1480 edition”: this piece does resemble the older style rather than the more modern tower, but does not appear to be bifurcated as medieval rooks (including Caxton’s) usually are. These may be easily compared with those pieces pictured in Murray or the better coffee-table books on chess pieces. More nonsense in the May 1916 Chess Amateur on “Shakespeare’s genuine death mask”; there is no such thing and there is no telling what the author is referring to. For ease of reference, a factfinder index page has been prepared concerning our books Chess Explorations, Kings, Commoners and Knaves, A Chess Omnibus and Chess Facts and Fables. ‘Constantine: Your excellency tires of the game, perhaps? 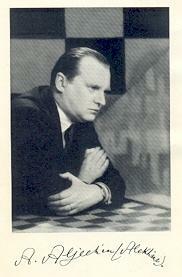 Is Alekhine the only master to have been the subject of a play and a film? 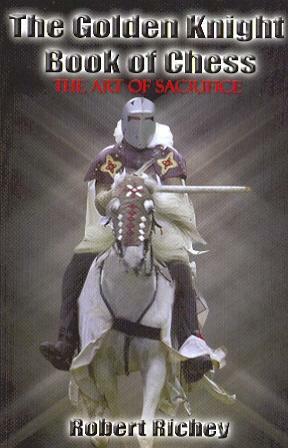 The play, Knight of the ID by Richard Laurie, was set in Portugal in 1946 and had its première in August 1997. This remark appeared at the end of the annotations to Tarrasch v Albin, and the book’s introduction (pages 6-7) indicates that those notes were written by Charousek. Further information is being sought.